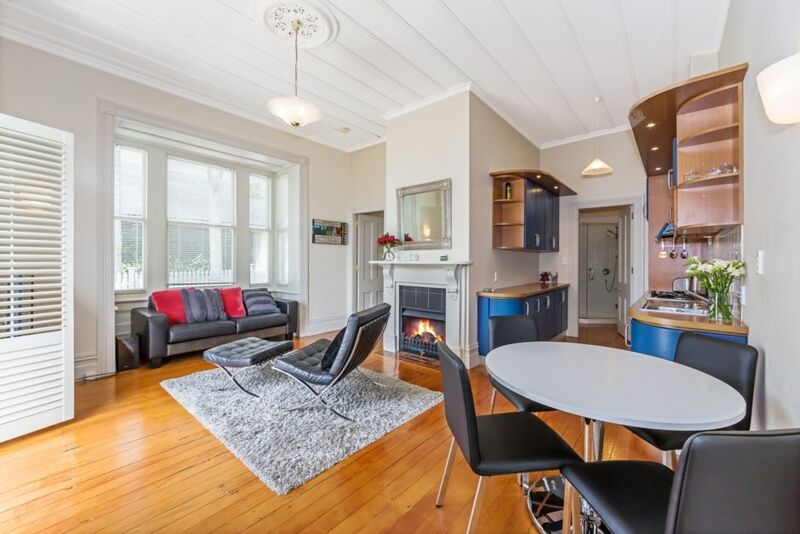 Elegantly renovated Victorian villa situated on the warm northern slopes of the inner-city suburb of Herne Bay and offering the comforts of home. The property has own separate entrance off sunny front verandah, and is completely self-contained with fully equipped kitchen and laundry. Short walk to Jervois Rd shops, cafes, and link bus to CBD, Ponsonby and Newmarket. A short stroll to lovely Home Bay Beach at the bottom of the road. Westhaven marina is 1k away. $30 each extra person up 4 - $20 per child. (Ask about our additional queen bedroom if there are more than 4 people) at $85 per night. Westhaven Marina, Wynyard Quarter and the Viaduct are a scenic stroll away, or minutes away by car. We supply toast bread in freezer, jams & spreads, butter, Olivini, milk, teas, coffee etc. Front verandah catches morning sun, perfect for coffee & toast! We were both pleasantly surprised how spacious it was and absolutely knocked out with how well the kitchen was stocked. Have already recommended it to several friends as a great place to stay in a quiet street in Herne Bay. Thanks for your lovely review - hope we see you here again. Beautiful ground floor unit in a period home which is just a short walk up the street to the shops and bus stop. Great. Could not be better. This is the standard all vrbos should follow. Thanks for your generous comments - a pleasure to meet you and hope the campers were fun. Bright, clean, well decorated, well equipped apartment. Two double bedrooms both en-suite. Very well equipped kitchen. Di very friendly and easy to communicate with. Herne Bay is a lovely suburb of Auckland with local bars and restaurants. Easy bus ride into CBD. Thanks Chrissie so pleased you enjoyed your stay - all the best for the remainder of your visit. We had a wonderful stay there.....definitely recommended!! Wallace apartment was one of the best places we stayed in during our holiday. It is ideal for 2 couples having 2 double bedrooms both en suite. It is located in a very nice area within easy reach of the Auckland attractions.